It's called iPhone 5 and is definitely here. Phil Schiller, vice president of Apple , has been asked to present this afternoon the new iPhone . This is a unique piece, as the American company was responsible for developing one of the most innovative models in the market, both from the point of view of materials as in their technical characteristics. And that is to begin, we must state that the phone is all aluminum and glass, with 112 grams of weight (20% lighter than the iPhone 4S ) and 7.6 millimeters thick. 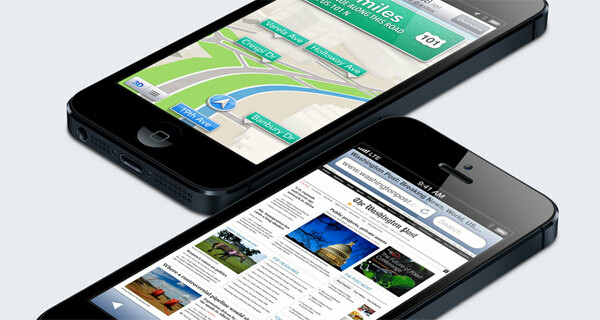 The new iPhone 5 is 18% thinner than the latest smartphone Apple has in its catalog. And with the introduction of the iPhone 5 comes confirmation of a rumor that has been on everyone's lips for the past months. Yes, the new iPhone has a four-inch screen and excellent resolution of 1136 x 640 pixels, a detail that will allow users to enjoy an extra row of icons. This change, it must be stated, have no impact on the display of the applications, since those not optimized run with a black frame for no loss of image quality. These features are just one point from the long sheet just to publicize Apple. 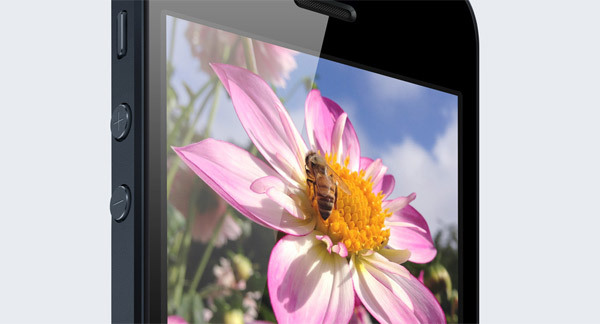 Here's an in-depth analysis with photos and comments on the sixth generation of the iPhone. 'll Encourage you take it to the pocket? One promise of Apple, even a secret, was to be able to offer its loyal patrons in a novel product design section. So not surprisingly, confirming all the rumors that had been proposed to date, Apple has decided to completely renovate the external structure of its flagship product. Thus, the iPhone 5 is presented with a much more thin and light, topped with an aluminum metal casing that gives it a much more modern and futuristic. The phone measures 123.8 x 58.6 exact x 7.6 mm, which gives it the property of being 18% slimmer over its predecessor and 20% lighter, since weight is of 112 grams, as stated in the official sheet. The company introduced two models. One black, with rear color anodized black and white version, with aluminum trim live behind. The effort has been cyclopean designers, in the sense that they have had to cut some of the most crucial internal parts, always taking into account the opinion and judgment of the technical team of Apple. The screen is one of its key elements. During the rumors (which incidentally was not short) has talked a lot about the possibility that Apple decided to expand its next iPhone screen. Well, all hypotheses were confirmed. The Cupertino has filed a device equipped with a Retina display up to four inches, surpassing the 3.5 inches that had been lavished since 2007, partly due to the attachment that Steve Jobs had gone over this issue. In any case, today we are able to show that the screen of the iPhone 5 has grown over, not across, reaching a resolution of 1,136 x 640 pixels and a density of 326 pixels per inch, coinciding in this case with the iPhone 4S. Thanks to this extension users can enjoy a new row of icons, apart from the four shortcuts that are at the bottom of the screen and used to access the main functions. With respect to adaptation that developers will have to do on the applications to be viewed properly, it should be noted that teams are already working to make things work well. In fact, the main applications of Apple: Garage Band, iMovie Calendar and are ready to work with the new screen. All other applications will have a black frame to save the change as they arrive on the update. 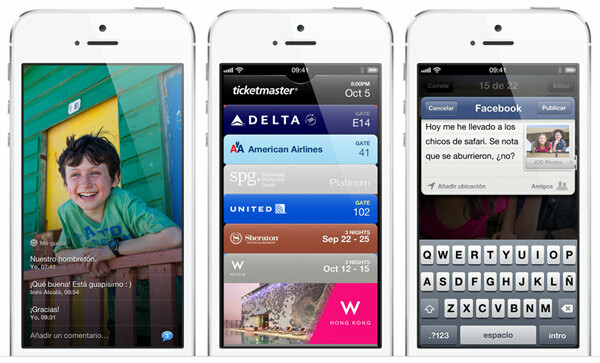 The new iPhone 5 operates on UMTS / HSPA + / DC-HSDPA (850, 900, 1,900 and 2,100 MHz) and GSM / EDGE (850, 900, 1,800 and 1,900 MHz) ** LTE (bands 1, 3 and 5) . The phone also features network Wifi 802.11 a / ​​b / g / n (802.11n 2.4 and 5 GHz) feature that ensures access to wireless networks that have to reach, whether at work, at home or in a hotel room. How could it be otherwise, the phone also supports wireless technology Bluetooth 4.0 for transferring content between devices. In point of geolocation, is necessary to consider the function GPS with GLONASS assisted, digital compass and access to mobile networks. This will come from pearls to run any application that requires location. On the external connections, we must indicate that the phone has a headphone output 3.5 mm, the key on / off and Sleep / Wake, an integrated speaker and three microphones (front, rear and bottom) prepared for the voice recognition and noise reduction. The new connector Lightning is 80% smaller than the previous iPhone (also integrated into the iPod). It is an all-digital connector for which many companies are already preparing. In fact, as announced by Apple itself, the main sound firms working in the development and launch of new parts, docks and accessories made ​​with this new connector. A total renovation that had been predicted in the batch of rumors and that will - for users - renew your investment in connectors and other compatible devices. It should be noted, moreover, that Apple will release a plug adapter to 30-pin Lightning (which is old) so that all users can adapt to the new philosophy eight digital signals. The iPhone 5 comes well equipped in the photographic section. The phone company has nurtured his star with an iSight camera equipped with eight-megapixel sensor, capable of capturing images at a maximum resolution of 3264 x 2448 pixels. The camera includes the Panorama function for capturing images up to 28 megapixels of resolution, with the possibility of obtaining high-quality panoramas. The photos are a panorama of 240 degrees and are obtained thanks to the gyroscope, the A6 chip integrated into the device and the camera application, ready to perform high-level functions. The same application allows us to capture 40% faster, we will feature great moments for results in very low light, reducing some of the noise and capturing the moment so we will not lose any important moment. 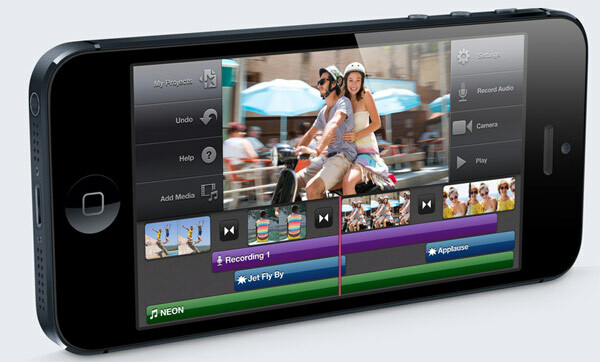 Logically, the camera allows you to record video in 1080p HD. Face detector is included for 10 sides, so that the device will be perfectly capable of offering an image as perfect as possible. 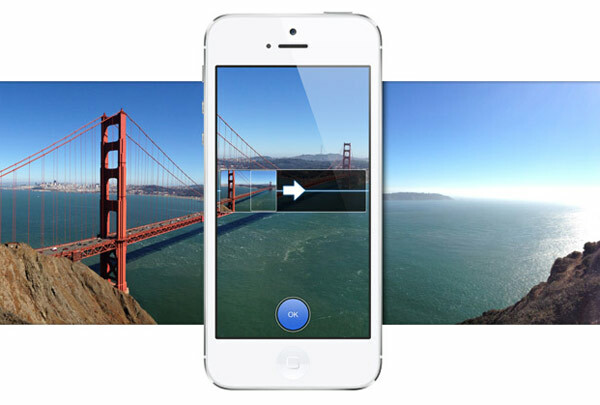 Another interesting feature is to capture images while recording. The iPhone 5 has, of course, with a second front camera that will be very useful for video calls through FaceTime famous application and can work over a wireless network or a mobile network, regardless. 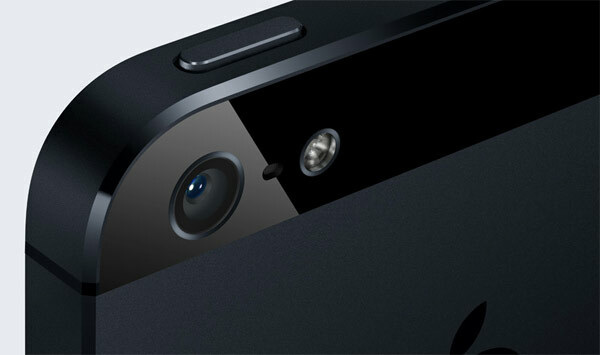 The front camera will also serve to take pictures or even record videos in HD 720p HD. Finally, it is noted that Apple has also integrated (in the section on applications) a function called PhotoStream that allow users to share their photos in a more easily with friends and family. This is a new tool that reveals the need for users to share in the most flexible possible snapshots to tell others what they are doing at any corner of the world. 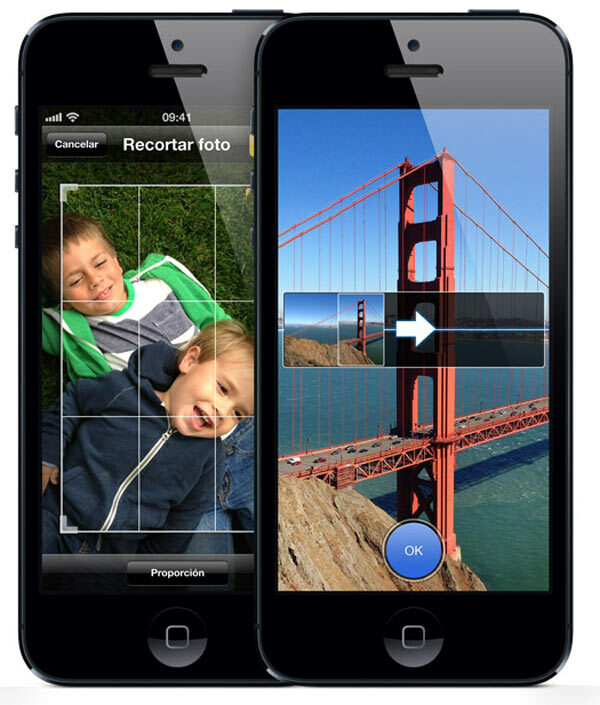 In the multimedia section, the iPhone 5 is perfectly skilled to play content of various kinds. In fact, you will see that is compatible with the vast majority of audio file formats, image and video, so that in principle should have no problem to play in the extensions specified in the data sheet. Also in our find accurate data on the quality of the formats. One of the most interesting, in fact, has to do with the sound quality of the new iPhone 5. 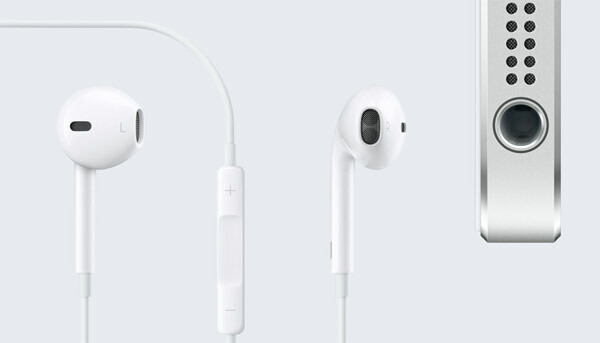 For the occasion, Apple has introduced a new headset called EarPods. The company set out to create a product comfortable for all ears, so tests were run over 100 headset design prototypes also were tested with hundreds of people. The result has been that you see: a headset that enhance audio quality and featuring up to three microphones that work in channeling sound and allow us to achieve superior sharpness. These headphones feature noise canceling technology, you know devised to avoid background noise and enjoy conversations or sound media in a comfortable and practical. The chapters of rumors we've been telling over these months, we have also talked with interest about the applications and smart features which should incorporate the new iPhone 5. As you know, devices like the Samsung Galaxy S3 or the Samsung Galaxy Note 2 premiered with a long list of cool features that served to distinguish them from other smartphones that also compete in the market. Well, it seems that Apple is willing to do the same. This time, we can say that the iPhone 5 runs through the new operating system iOS 6, a platform with lots of interesting for those looking for something more in the Apple universe. But one thing. What are the main features of this new version of Apple's operating system? Well, in the beginning there have been interesting changes in the user interface, since it is now more intuitive. What we notice when accessing applications and execute major functions integrated into the menu. Within the operating system have integrated many applications that are preinstalled on the phone natively, but all users should be aware that they can expand and enhance the functionality of your iPhone 5 going to the Apple app store, place in you will find around 700,000 applications (between free and paid) to download at any time. 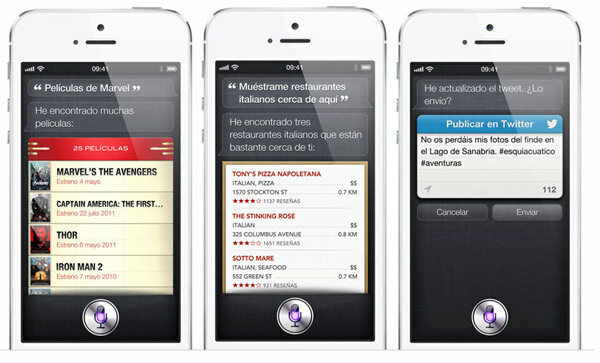 But, what are the main features that will integrated the iPhone 5? We must begin by Siri, the wizard voice that promised to be improved and that comes with many new features when running simple commands by voice: send a message, make a call, find a contact or add an appointment to your calendar. The Maps application has a design made ​​entirely by Apple and we can search in the field, find restaurants, cinemas and locate stores put up a map. The same service is able to provide information on road conditions in real time, we will feature phenomenal when trace routes and arrive early to any appointment. There are also multiple roles as music, to enjoy our music library syncing or accessing iTunes to download content in a simple, Facetime, to communicate through video calls with friends, loved ones or colleagues; posts, a good formula to channel all of our posts with new features to highlight the most important; Safari browser that comes with a new full screen mode and sharing tabs from the phone to the desktop computer, AirPlay, the popular tool that allows us to synchronize contents iPhone 5 to the TV and Game Center, an interesting space for game lovers. Apple also unveiled this afternoon the new chip will bring the iPhone 5. This is a new CPU called A6 that offer superior performance, almost twice what promised the old A5 installed on the iPhone 4S. These improvements will be noticed when launching applications, loading web pages or download e-mail attachments. The same applies when playing graphics (multimedia, and gaming applications level) because the frames can be played at a higher speed and this will affect the fluidity and realism of the viewing. 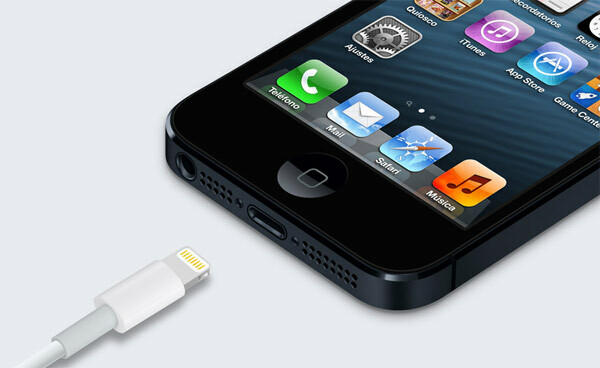 The new iPhone 5 features a rechargeable lithium polymer battery that can be charged by connecting the device via a USB connection, both the computer and the power adapter. The autonomy is superior over prior devices and specifically to iPhone 4S. As indicated in its own sheet, iPhone 5 battery offers a talk time of up to 8 hours on 3G and 225 hours in standby mode. When surfing the Internet, we shall do it for 8 hours on 3G and up to 10 hours with Wifi. Users who are interested in playing videos, will be guaranteed an autonomy of 10 hours. When reproducing audio, may have its iPhone for 40 long hours. The iPhone 5 will go on sale from September 14, but the fact is that the first time buyers will not receive it until the following week, from September 21. At that precise date will begin shipments to the U.S., Canada, UK, Germany, France, Australia, Japan, Hong Kong and Singapore. Later, just on 28 September, will start sales in 20 countries. From that time, users will have the opportunity to acquire the sixth generation iPhone, but for now only have released the prices in dollars will the phone: 16 GB ($ 199), 32GB ($ 299) and 64 GB ($ 399). The iPhone 4S will go down in price to $ 99, so that those who want to save some money and are willing to give the new features of the iPhone 5 will have at its disposal a golden opportunity. Video streaming with AirPlay on Apple TV (3. Third generation) to 1080p and Apple TV (2. Third generation) to 720p. Video formats supported: H.264 video up to 1080p, 30 frames per second, High Profile (High Profile) level 4.1 with AAC-LC audio up to 160 Kb / s 48 kHz, stereo audio in file formats. M4v, . mp4 and. MOV, MPEG-4 video, up to 2.5 Mb / s, 640 by 480 pixels, 30 frames per second, Simple Profile (Simple Profile) with AAC-LC audio up to 160 Kb / s 48 kHz and stereo in file formats. m4v,. mp4 and. mov, Motion JPEG (M-JPEG) up to 35 Mb / s, 1,280 by 720 pixels, 30 frames per second, audio in ulaw, PCM stereo audio in. avi.